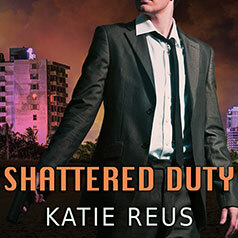 Katie Reus presents the latest novel in her Deadly Ops series. When his wife was murdered two years ago, Special Agent Levi Lazaro turned his back on everything he cared about. Ever since, he has thought of nothing but vengeance. Now he's finally uncovered the identities of those who killed his wife—and he's ready to destroy them at any cost. He won't let anything stand in his way—not even a beautiful NSA agent on a mission of her own. Special Agent Selene Wolfe prides herself on being the best. Her fearlessness and quick-thinking make her the perfect person to take down a deadly terrorist cell. But she needs Levi's help, and the moment he shows up, Selene knows her objectivity—and her heart—are in trouble. As the two strike an uneasy alliance, Levi finds himself tormented by his desire for Selene—a feeling he thought long dead. But when their mission takes an unexpected turn, he finds himself at a crossroads. Can he put aside his need for revenge to save the woman who's reawakened his soul?